22 oz. 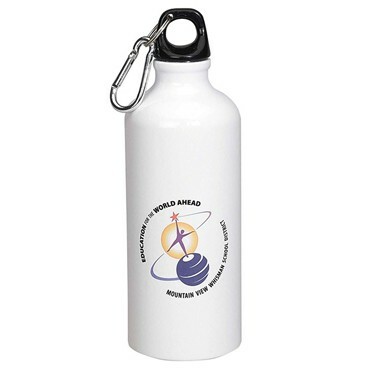 full color sublimation aluminum water bottle with carabinar hook which is sublimated in the USA to ensure on time delivery and maintain American high quality standard., hand wash only, not dishwasher safe, do not microwave or freeze. Price includes 1 location. Imprint size is 3" x 3". Additional location or wrap see price below. 22oz. 8-1/2" x 1-3/8" x 2-7/8"
Artwork Requirements: AI, Photoshop, GIF, JPG, PNG, High Resolution 200dpi or above. We will adjust your image for the best fit.